This is the first time for me to meet the Korean Autumn. Eventhough I already read on the Internet or saw on TV that this is a wonderful time here, I still can’t help but fall in love with it 😍. The weather is not hot anymore, rather cool. 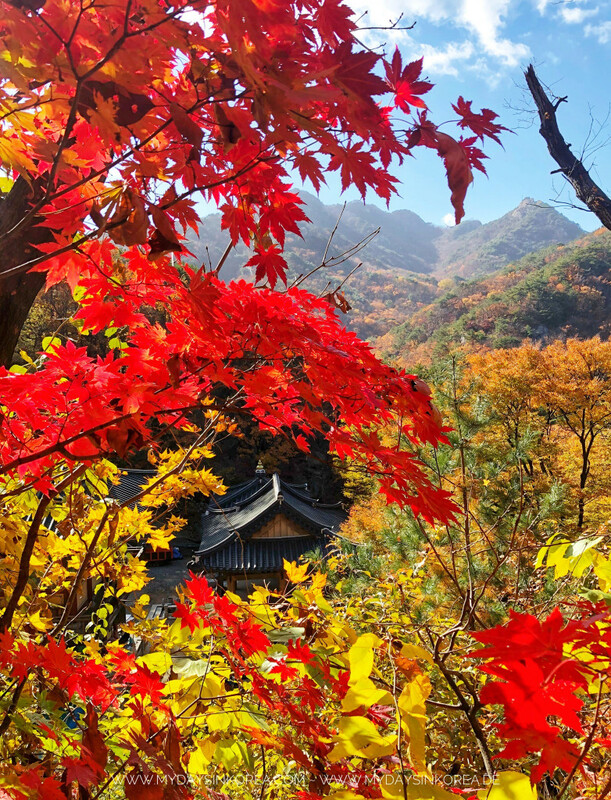 You can feel the autumn breeze and also see it taking all the colorful leaves with it. Day by day you can see the color of your surrounding is changing – on the streets, in the parks or on the mountains. From green to yellow, to orange then red… Then maybe you only see a naked tree left, without any leaf. I went around, enjoying this fabulous scenery and try to capture it with all devices I have. 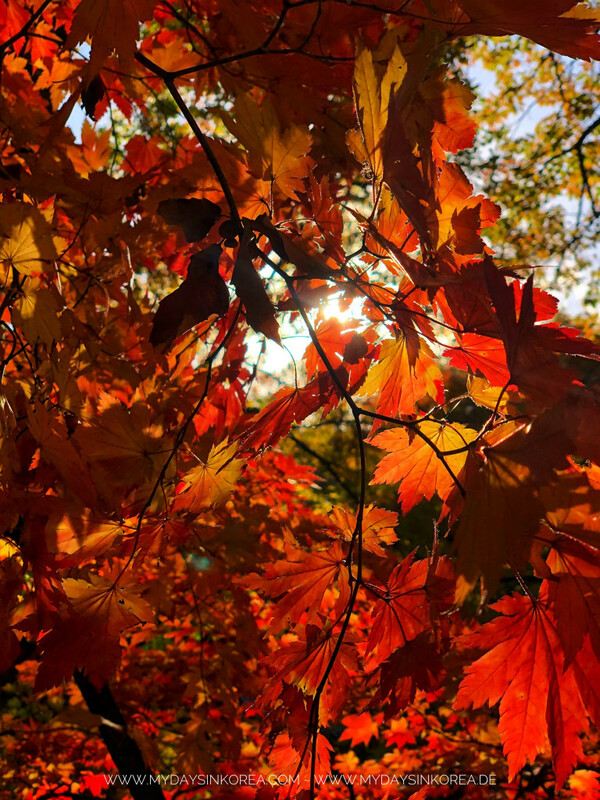 But I only feel helpless, because the reality is much more lively, much more colorful, much more fantastic… No word, no picture can describe the beauty of the autumn in Korea. You have to come, to see and breath it by yourself. Well, despite that fact, I still would love to share some pictures of my autumn collection with you to give you more motivation to come to Korea in autumn ☺️. All of them were taken between end of September and end of October 2018. The whole collection as well as the locations I’ve been to can be found here. 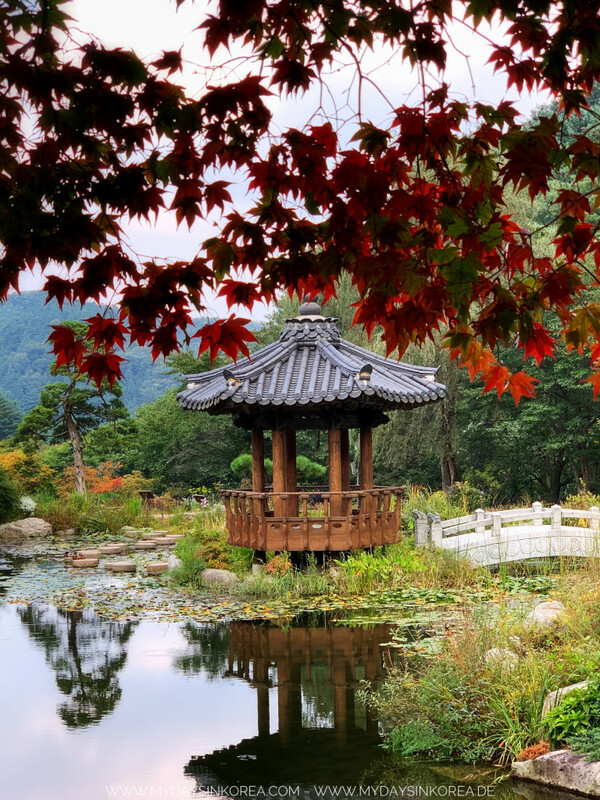 Garden of Morning Calm – 아침고요수목원 – is a wonderful botanical garden in Gyeonggi, which you can reach within 1,5h by car from Seoul. Do you know what “Morning calm“ means? The last dynasty on the Korean peninsular, from 1392 until 1897, was named as Joseon Kingdom (조선, 朝鮮). At that time Joseon was translated, or better to say, interpreted in English as “Morning calm”. Hence you can find in a lot of old travel reports or documentaries the expression “The Land of the Morning Calm”, which was equivalent to Joseon Kingdom or Korea. 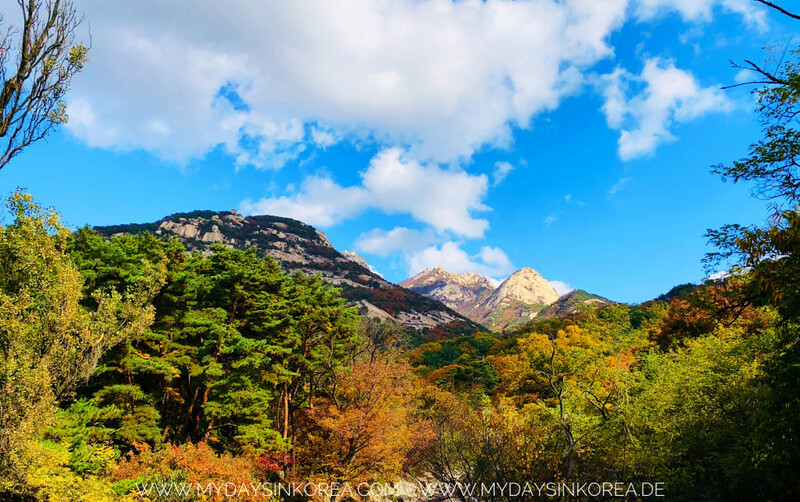 The Nami island – 나미섬 (Namiseom) or 나미나라 (Naminara – Country Nami) is a very popular destination for a half-day or whole-day trip from Seoul for tourists as well as loving couples. On a “half-moon” island, which is about 42km2 large, you can enjoy the beautiful nature, have a romantic walk or ride couple bicycle with your beloved through tree avenues, have a picknick or do a lot of activities on the fresh and clean water. 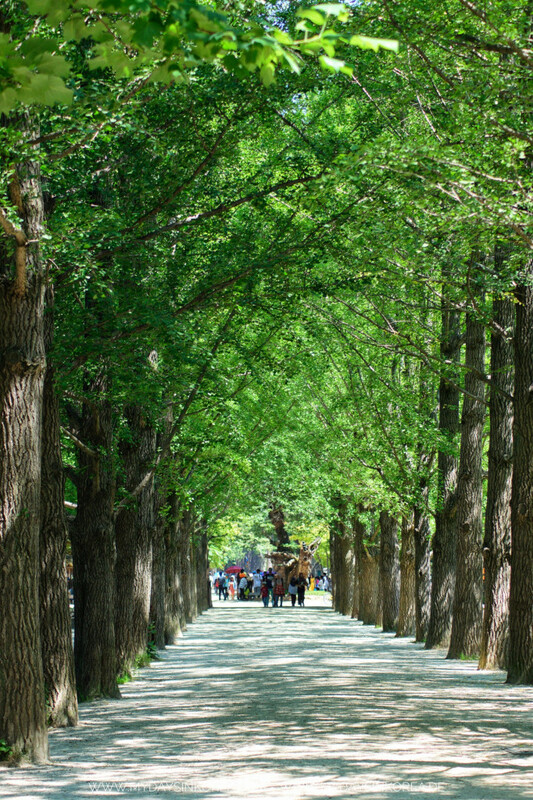 It is also said, that the Nami island has four different “coats”. In spring it wears a rose – purple coat of the cherry blossoms. In summer, it changes to the green one. In autumn, the golden and red coat will cover it. And in winter, the white one. Actually this island is very famous in Asia, because one of the most well known K-Drama from the 90’ was flimed here – Winter Sonata. All the snowman ⛄ figures you can find on the whole island were made as memories for that beautiful love story. Now a day, you can still meet a lot of its fans on the island. 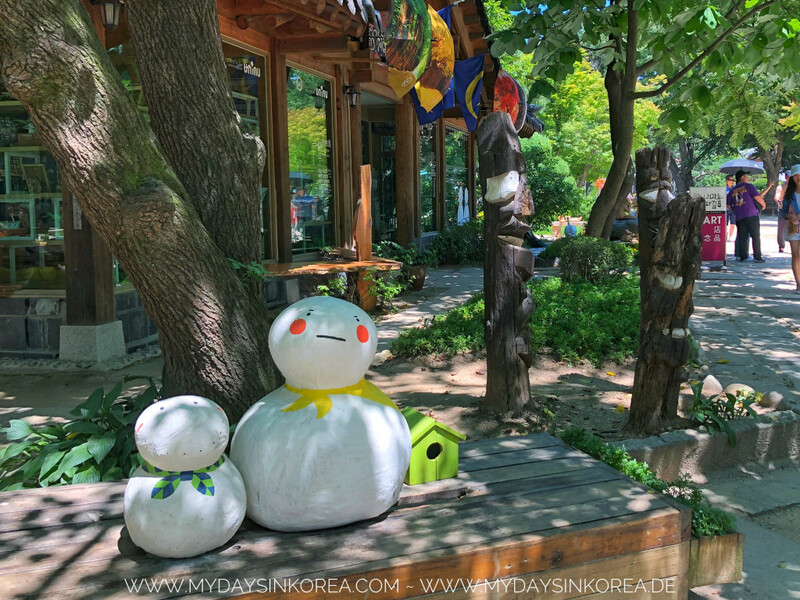 I visited the Nami island on a very hot summer day. Under the sun it was almost 40 degrees. However, on the island it was really cool and very enjoyable. 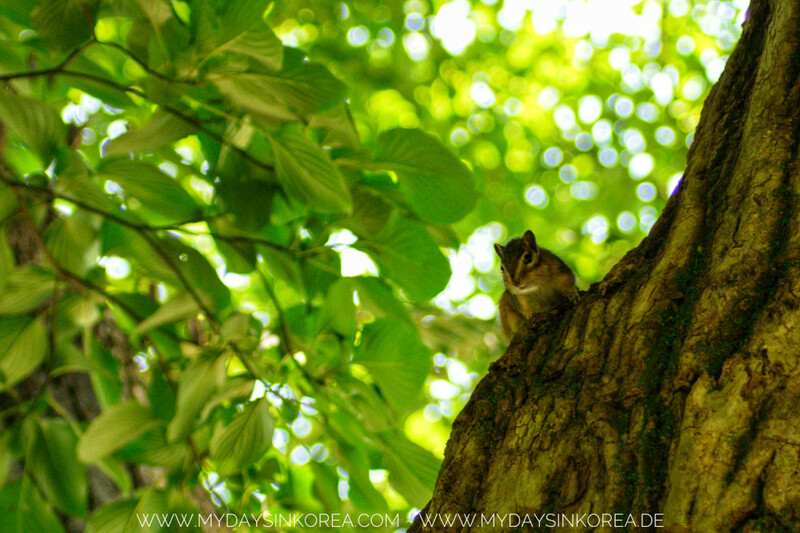 For more pictures please visit mydaysinkorea.de. 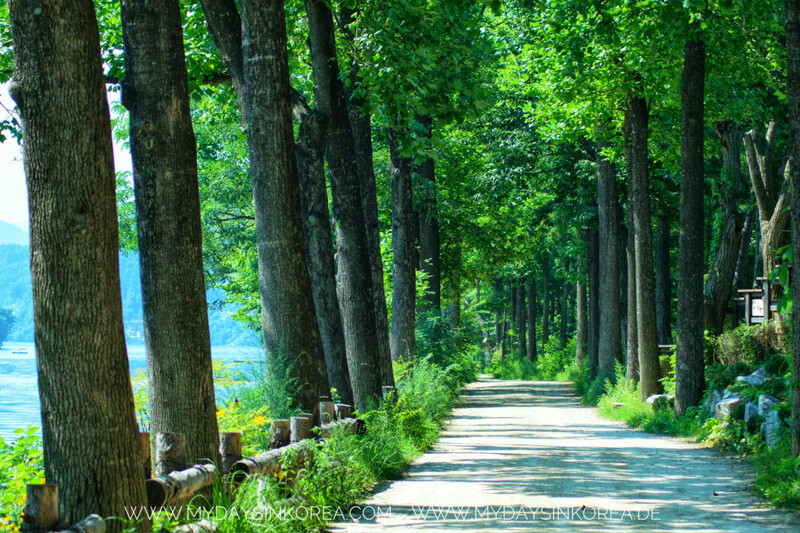 How to get to the Nami island? 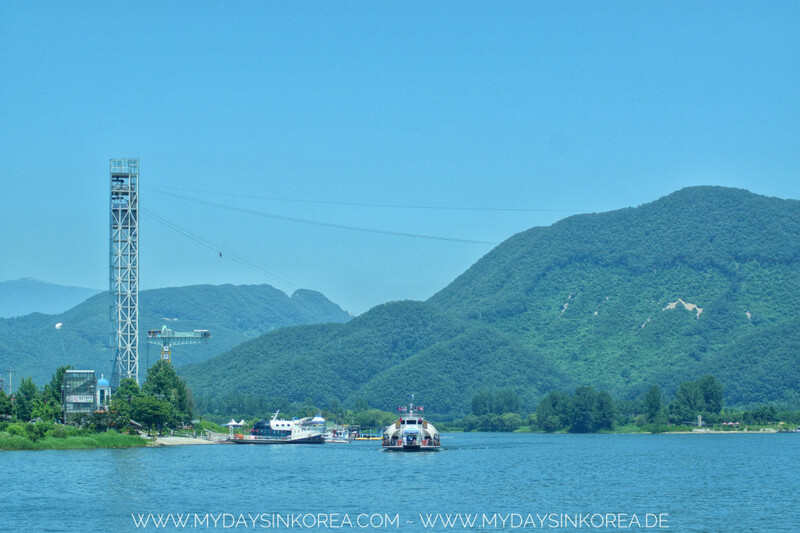 The island is about 60km away from Seoul in North-East direction. If you go by car, you can drive and park your car directly at the pier, which would take around 1-1,5hs from the city center. There are also possibilities to go there with public transportation, due to Naver Map. Or you can book a day tour from a traveling agency. When you’re at the pier, you can take the ferry or zip line to enter the island. For more details, please check the Visit Korea homepage. For a short break from the city life, today we made a half-day-trip in Suwon, which was around 1h driving to the south from Seoul’s center. 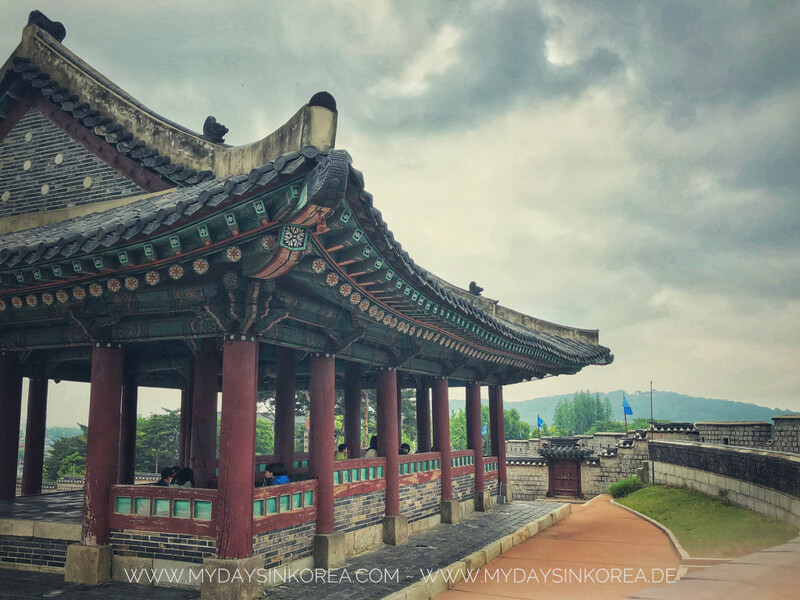 Our main purpose was to visit the Hwaseong Fortress, an UNESCO World Heritage, that was built at the end of the 18th Century. We started our 5.5km walk on the fortress at the Hwahongmun Gate and finished after 3h. A perfect location to escape the city and to shoot!